Editor,Jitesh Pillaai(The Hindu) talks about the importance of Baahubali's success. 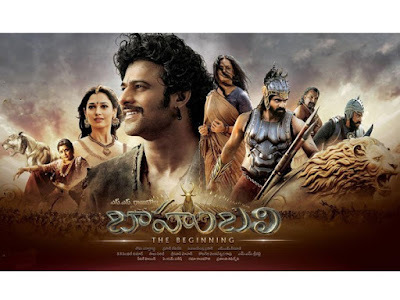 Baahubali - the name suggests it’s something out of the ’30s mythological era of films. Back then, bringing to life the various stories associated with our glorious prehistory and our multi-layered mythology was the safest bet to ensure box-office success. The common populace was already familiar with the legends and looked forward to their favorite gods and monsters, heroes and villains, locking horns. People had a field day as good defeated evil once more. Over time, the interest in such films dwindled. Not that the films became realistic – rather they became even more escapist, if anything. But somewhere the wow factor associated with mythological films waned. The old bottle needed a new spin and that’s what director SS Rajamouli has done in Baahubali starring Prabhas, Rana Daggubati, Tamannaah and Anushka Shetty. He infused cutting edge technology within a heroic tale of valour to create a drama, which dazzles with its stunning visuals and yet retains enough emotional wallop to keep you glued to your seats. But the success of Baahubali just isn’t important because of the computer wizardry it displays. Yes, it’s true it has set a benchmark in the field. But the most important aspect of its success is that it has emerged as a true pan-Indian film. It’s heartwarming to see that a film starring South Indian stars has entered the 100-crore club in its Hindi dubbed version. It has reportedly earned some 540 crores so far worldwide, which itself might be some sort of a record. And, mind you, it’s still going strong, still finding shows. It has completed almost 50 days in the theatres as I write. Which recent film managed that feat? Whether we will see a spate of similar films hitting the silver screen remains to be seen. 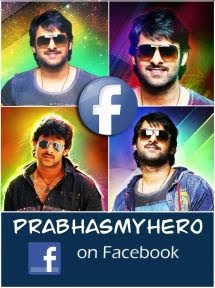 But South Indian cinema surely has got its poster boy. It will no longer be afraid of its Hindi Bhaijaan’s shadow. This is great news indeed as more and more dream merchants will stop catering to just a regional audience and venture forth for a bigger share of the market.